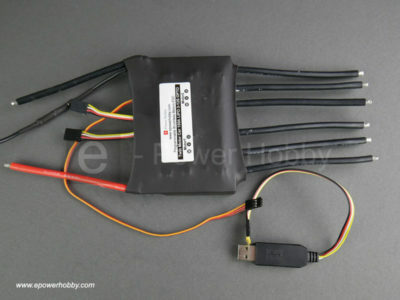 This ESC is a new version, twin (2 brain). 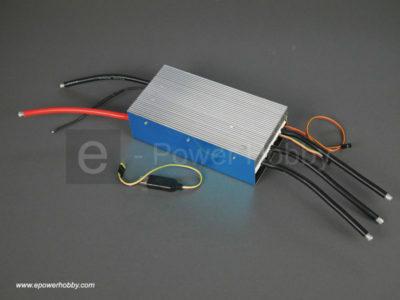 It can drive two brushless motors. 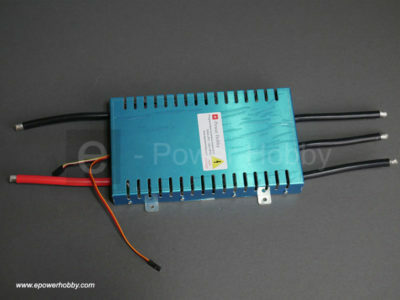 The 2 brushless motors can be programmed separately. 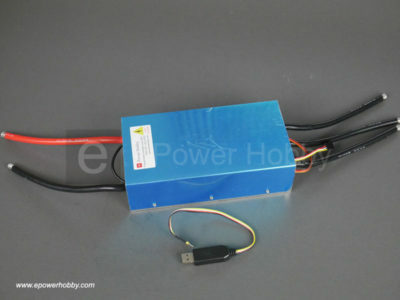 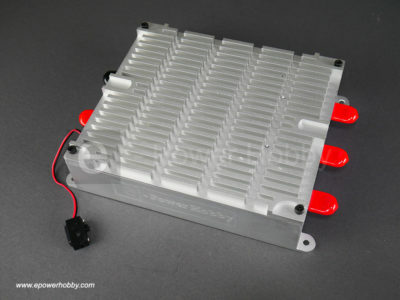 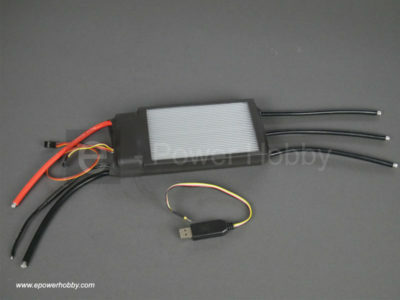 It has 10 capacitors, 63v, 330uf, 5.5mm connectors directly soldered on the PCB, battery spark suppression wire, Heat sink, powerful Mosfet, USB link to program it.